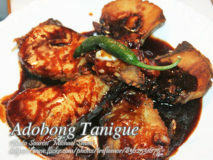 Another simple adobo dish using tanigue steaks or Spanish mackerel. 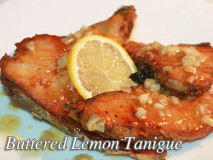 Like all other fish steaks, since it is flaky, just be careful not to break..
A quick and easy to cook dish that will satisfy your cravings. Ingredients are not hard to find. 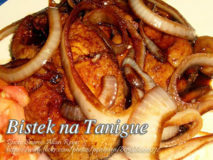 You only need to pan fry the..
Bistek is actually a Filipino version of beef steak marinated and cooked with soy sauce and is not the grilled steak which is popular in.. 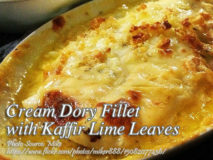 Cream dory are now commonly seen in supermarkets unlike many years ago. 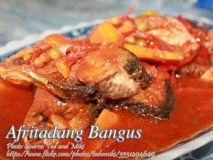 But the cream dory fillet you see most of the time is not..
Afritada dish is one of the well know Filipino dishes and the most common afritada is chicken afritada and it is cooked with tomato sauce,..